Cafeteria Man is a film about Baltimore’s efforts to overhaul its school meals program. 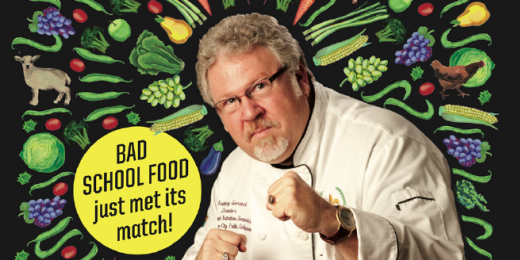 Directed by Emmy award-winner Richard Chisolm, the film follows Tony Geraci, the food service director for the city’s public schools at the time, as he leads the charge to replace pre-plated, processed foods with locally grown, freshly prepared meals. After the screening, we will host an expert panel, moderated by Paula Jones, director of food systems for the San Francisco Department of Public Health, discussing the opportunities and challenges of reforming school meal programs with Memphis City Schools Nutrition Services Executive Director Toni Geraci, Oakland Unified School District Director of Nutrition Services Jennifer LeBarre, San Francisco Unified School District Director of Student Nutrition Services Ed Wilkins and San Francisco Unified School District Assistant Director of Student Nutrition Services Zetta Reicker. Co-sponsored by Slow Food San Francisco.